We oftentimes observed that most of the modern houses of today possess the unique forms of the buildings as well as the furniture and accessories in the interior. With that, the true sense of creativity and functionality is also exhibited. We can see the wit and artistic mind of the designer from its design in the interior and outdoor spaces of the house that he may consider as his masterpiece. 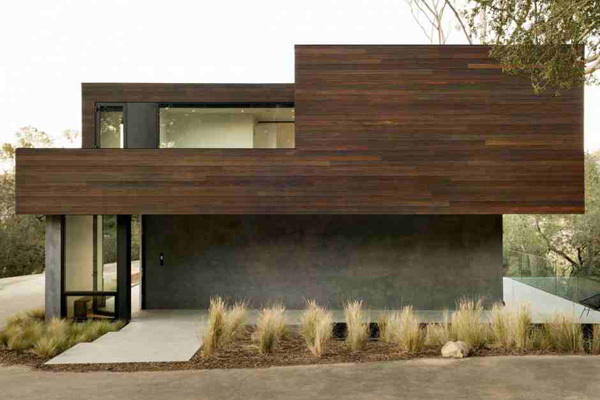 Today, we will be sharing to you a two bedroom guest house nestled in Beverly Hills, California. 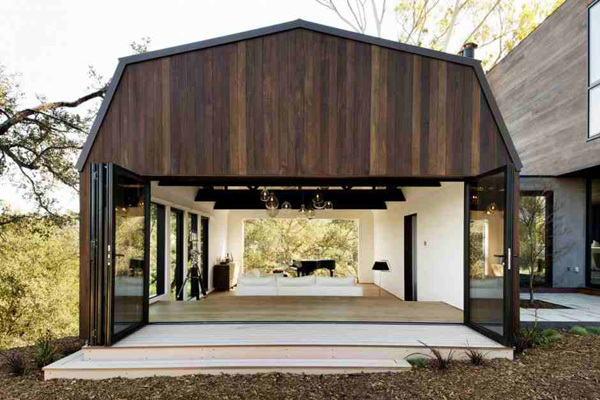 This house is named as Oak Pass Guest House which really unveils the astounding house and extraordinary shapes and forms of the house building. 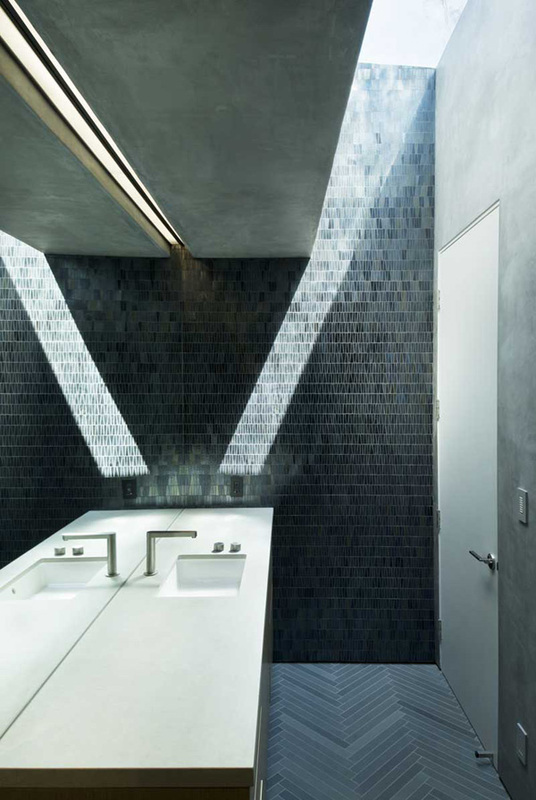 The lights in the interior successfully highlighted the most captivating areas of the house. 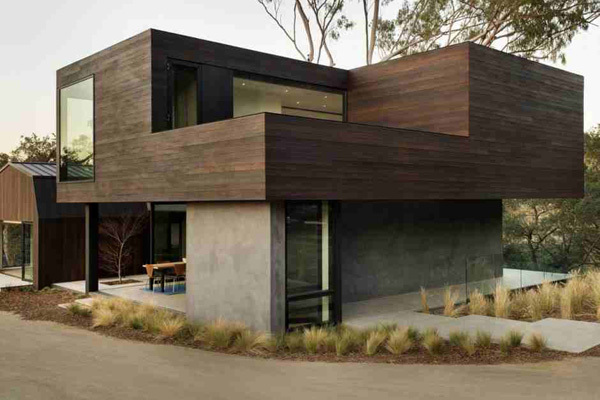 The house building uses a small footprint and height to maximize the panoramic canyon views. This also strengthens the connection between the trees and the house building. Now let us enjoy more of the amazing areas of the house through the images below. LED lights utilized by the designer create not just comfort but also the sense of visibility in the interior. See the great combination of the wooden and concrete wall in the structure of this building that may show what modern architecture is. The glazed framed windows obviously helps in taking the full advantage of the natural light that may be realized in the indoor spaces. In the morning, the open layout living space allows the sustainable light as well as natural ventilation in the interior. Volumes and geometrical shape of this building is emphasized through the landscape in the exterior. Unique lamps are blended well with the glazed frames and windows in the living space that also highlighted the white sofa. Entertainment space is also provided near the kitchen where the client can take the full advantage of the panoramic views outside. Textures and pattern of the wooden ceiling jives with the color of the comfortable seats set in the entertainment zone in the house. 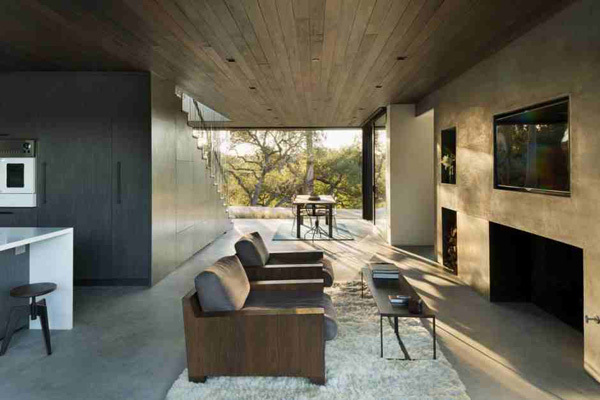 Concrete walls and floors perfectly match with the tall trees outside. 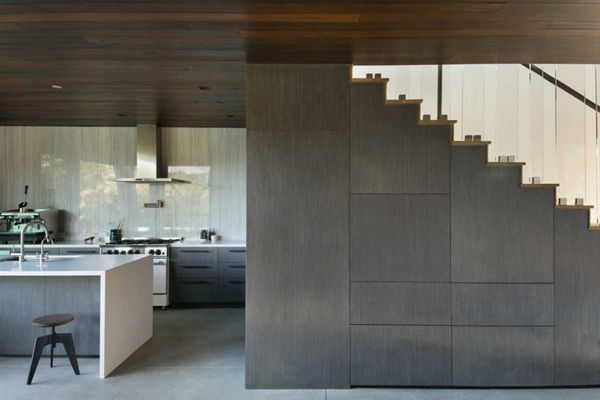 Edges and patterns are clearly seen from the walls and floors of this kitchen and staircase. 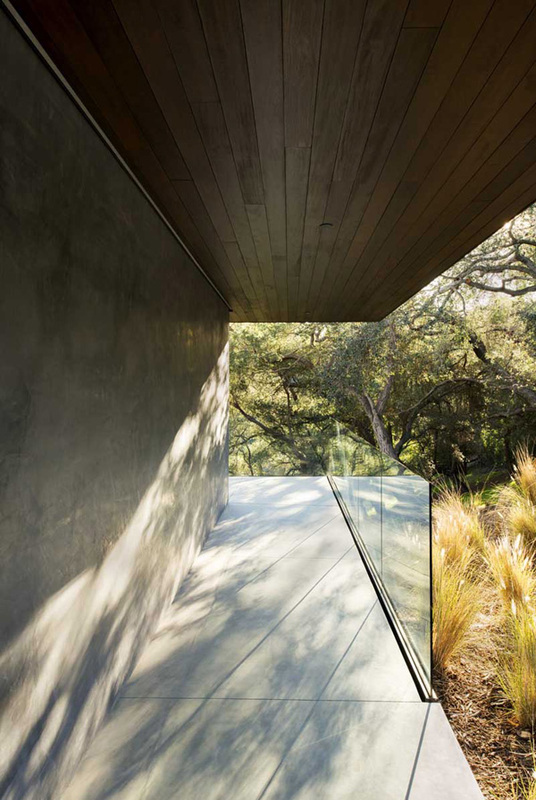 Natural light can certainly access the interior especially in the morning where the client can reduce the energy usage. 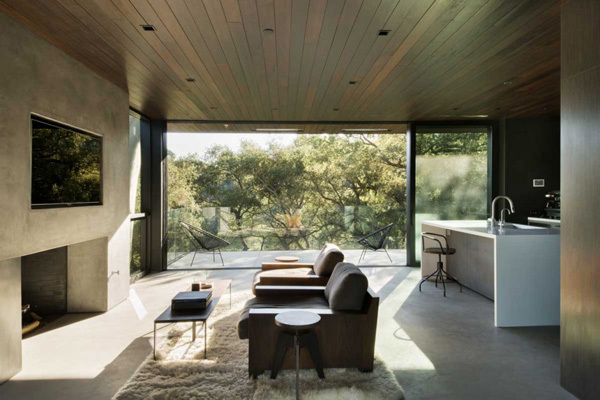 Simple yet comfortable is realized in the interior as well as the exterior areas of this house. LED lights utilized in the interior made this dining space stand out among the other parts of the interior. Square patterns in the mosaic tiles improve the elegant look of the bathroom. 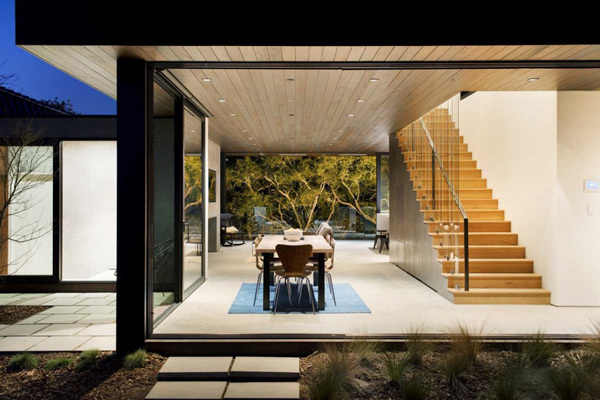 Glass framed in the terrace helps in allowing the house to bring a strong connection between the house and nature. We are certain that you were captured by the images of this house taken by Nicholas Alan Cope. For his selected images extremely exposed the different incredible zones of the house made by the Walker Workshop even at night. What attracted me most in this is the existing barn was rehabbed extensively and its functions as both a living room and a concert venue for only eight guests. I know that you too have chosen the best feature of this house that will also inspire you to apply those ideas in the planning and designing of your future houses.